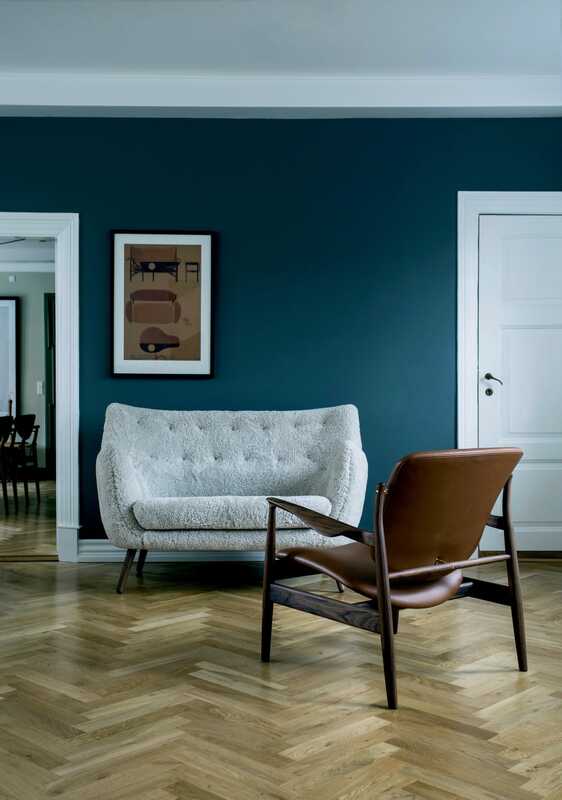 This small two-seater sofa first saw the light of day at the Copenhagen Cabinetmakers’ Guild Exhibition in 1941. It should be seen as a natural progression from the Pelican Chair that was displayed the previous year. 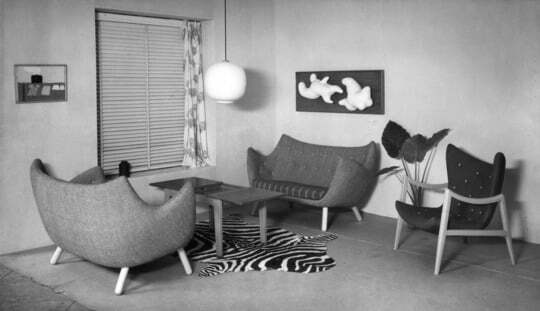 The upholstery is very slim compared to the norm at the time and it was the result of Finn Juhl’s ambition to create functional furniture for smaller apartments. 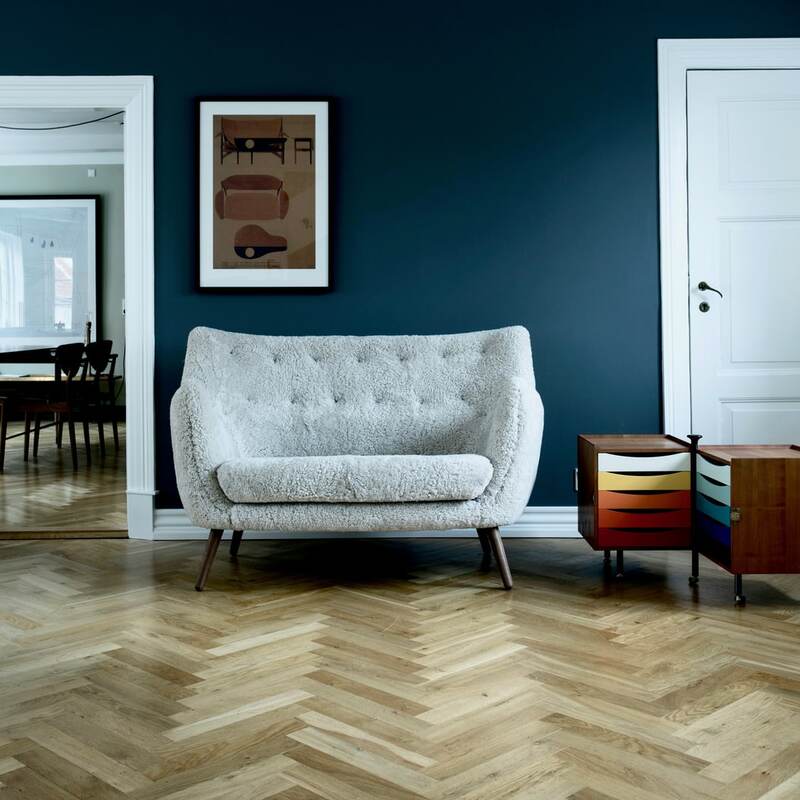 The Poet Sofa is also one of Finn Juhl’s experiments for his own home. 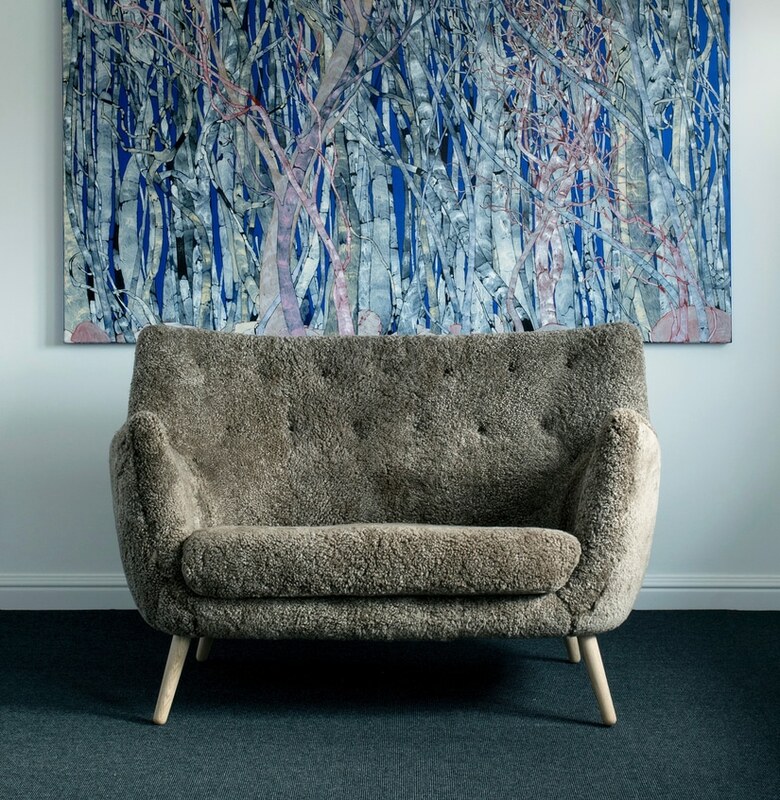 At the Guild Exhibition, the sofa was shown together with a couple of plaster reliefs by artist Sigurjón Ólafsson. 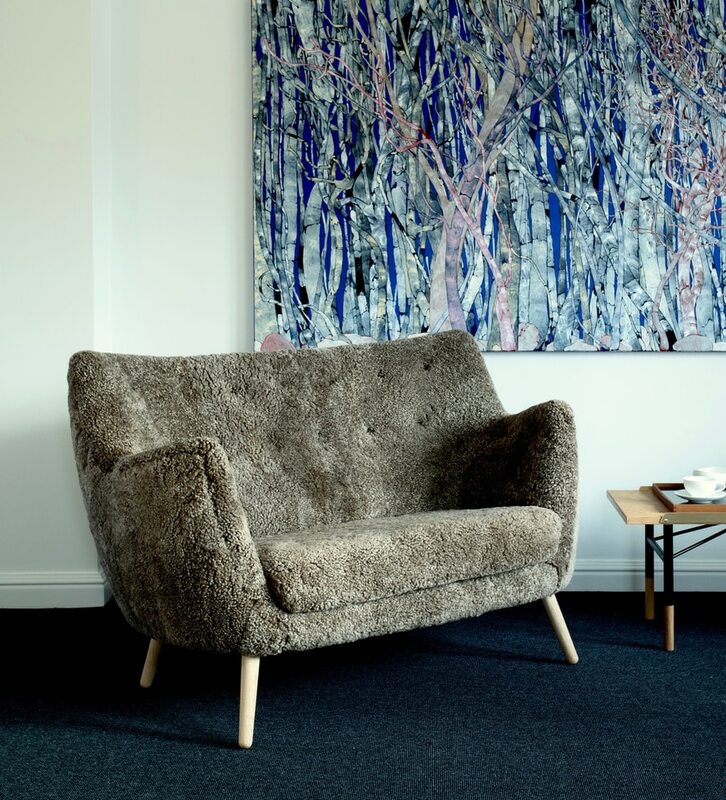 In this way, he indicated the link between furniture and sculpture. 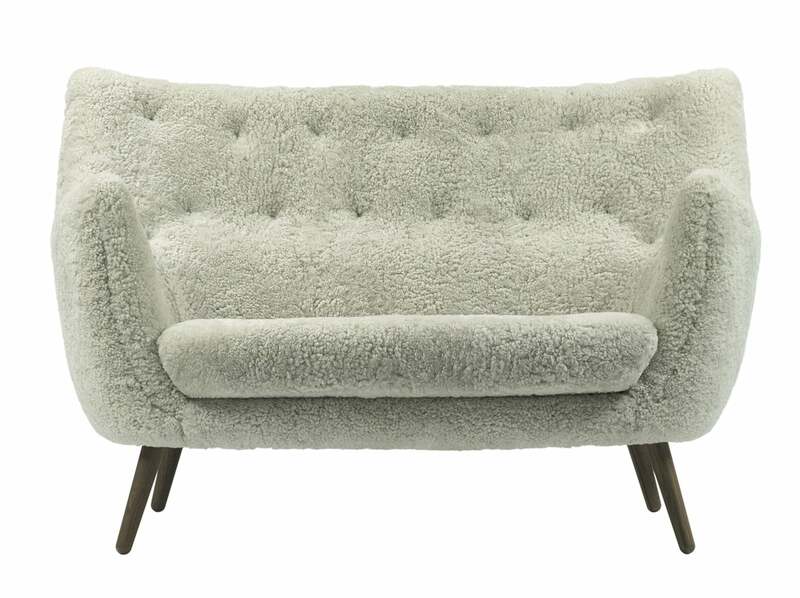 The small sofa is a very comfortable embrace for two people, who will be sitting comfortably close. 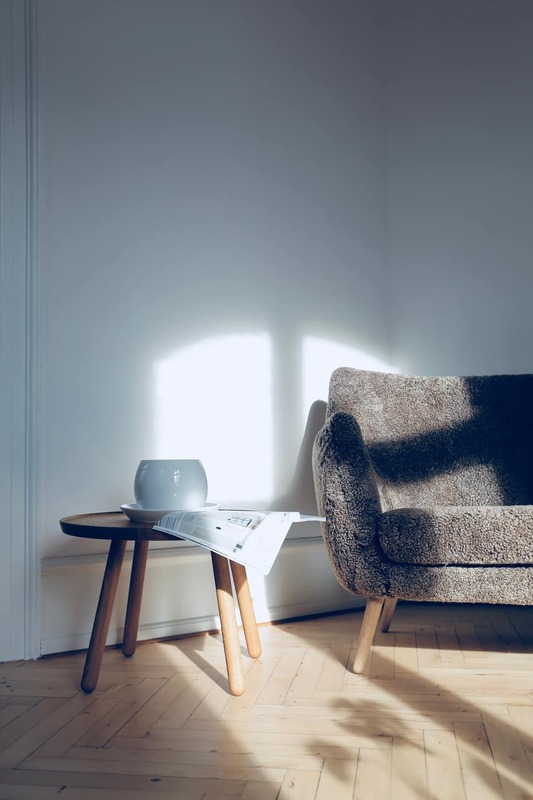 The small sofa received its name much later, in 1959, when a popular Danish cartoonist depicted the exact sofa as the place where a young poet would withdraw to contemplate the complexities of life. 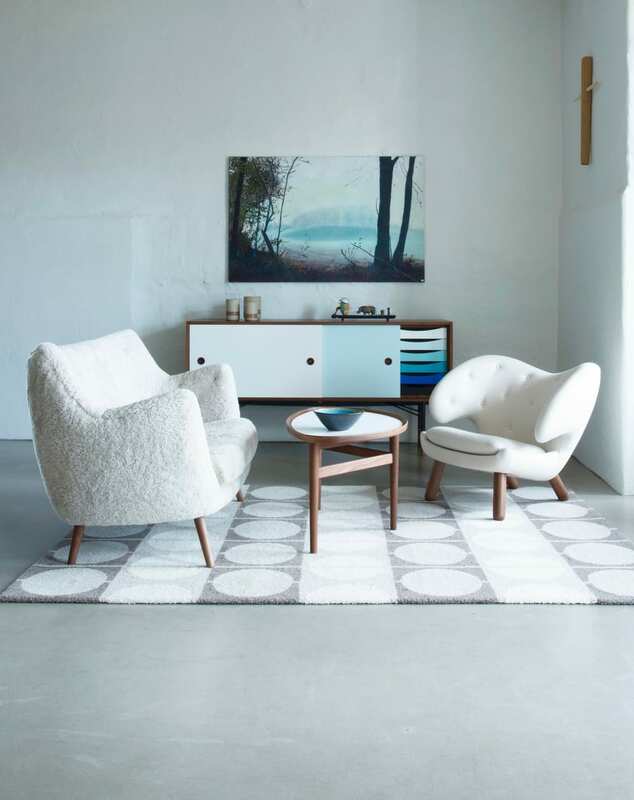 The Poet Sofa is available in the same execution as the Pelican Chair – with handsewn upholstery in fabric or leather and with legs in teak, oak, walnut or black painted.